(January 23, 1998-New Canaan, Connecticut) Irving Levin Associates, Inc. has just released the preliminary results of the Firm’s fourth quarter report on the merger and acquisition market in the health care services industry, available in late February. “Given the recent heavy volume of merger activity, the health care services industry took a breather in the fourth quarter to absorb the record number of deals this year,” said Stephen M. Monroe, a partner at Irving Levin Associates, Inc. Despite disappointing earnings reports, a volatile stock market, regulatory concerns and the holiday break, which have all impacted the merger and acquisition market, the fundamentals for consolidation remain in place. “Rumors of the imminent demise of the health care services merger and acquisition market are, we feel, somewhat premature,” noted Mr. Monroe. “One quarter does not make a trend. We believe that the players in this market need some time to integrate their acquisitions,” according to Mr. Monroe. Even with this slump, 1997 ended as a record year with 1,183 deals, up 18.7% over 1996’s 997 deals and up 86.9% over 1995’s 633. “We have to keep in mind that, in the short term, not every quarter or every year can be a record breaker. We have to look at the basic features that drive this market,” stated Mr. Monroe. “The unique characteristics of this industry, including a high degree of fragmentation and the presence of managed care, will continue to foster consolidation activity,” predicted Mr. Monroe. 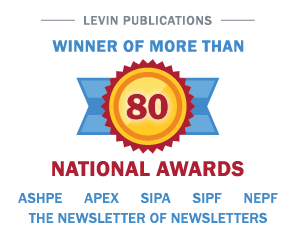 Irving Levin Associates, Inc. is a New Canaan, Connecticut-based financial services firm specializing in health care investments. The Firm has 50 years experience in the health care acquisition market. To purchase The Health Care Merger & Acquisition Report, please contact (800) 248-1668.